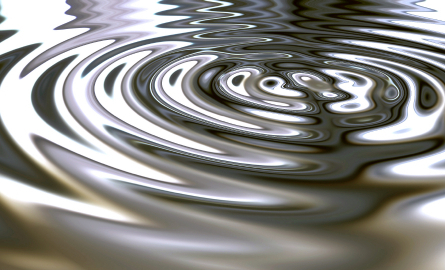 Throughout the history of alternative medicine, few remedies have had the staying power of colloidal silver. Throughout the history of alternative medicine, few remedies have had the staying power of colloidal silver. No matter how much the medical establishment tries to ignore and ridicule it, somehow its practice has never been forgotten. And for every person who claims it is harmful snake oil, there is another who has been using it for years without any ill effects. That’s because, despite what the media will tell you, colloidal silver isn’t as dangerous as you might think. There are only a handful of people who have been afflicted with the famous “blue man” disease known as Argyria. Typically these are caused by silver chloride or silver proteins, though the media tends to lump them all together with colloidal silver. In other cases, the afflicted was taking extremely large doses over many years. Whatever the case may be, it is possible to make your own colloidal silver and do so cheaply and safely. As antibiotics begin to breed superbugs, and viral outbreaks continue to make headlines, more and more people are looking towards alternative remedies like colloidal silver. Since Ebola has reached American shores, and with no real cure in sight, the attention towards colloidal silver has been making a comeback. This, of course, means that a lot of people will be making their own colloidal silver (CS) machines because most of the devices you can buy online don’t come cheap. Which is unfortunate, because the materials required to make your own CS machine aren’t that expensive. Below is an example of a pretty simple method of making your own CS without breaking the bank. It should look pretty familiar to those of you who’ve been making their own CS for a long time, but with some slight changes. 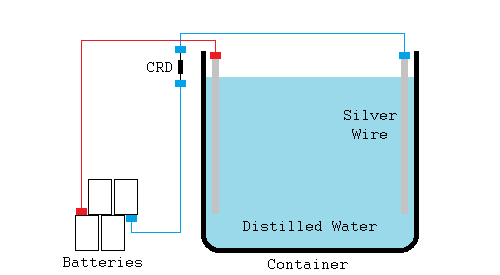 It involves connecting two pieces of silver to a battery source and setting them to rest in a container of water. As the electricity tries to run between the pieces, particles of silver will be shed from the source and will be suspended in the water. Viola! Colloidal Silver. Of course, it’s a little more complicated than that, especially if you want to do this safely. I prefer this method because it’s so cheap and so widely known. If it were harmful, there would be a lot more cases of Argyria. Since I can count with my fingers how many people have gotten sick from silver, I trust this method over the rest. So without further ado, let me show you how to make your own colloidal silver. You’ll need 3-4 9 volt batteries. If you only plan on using only small amounts of CS, then the cheaper disposable batteries will last you a long time. If however, you plan on administering CS to your family on a regular basis, or perhaps you’re going to be using it for housecleaning (it is, after all, antibacterial), then you might want to invest in some lithium batteries and a charger. The simplest way to connect your batteries to the silver is by connecting them to alligator clips. In this particular design, you’ll need three pairs of clips. Unfortunately, it’s pretty hard to find alligator clips that aren’t sold in bulk, so you’ll probably have to buy a set of 10. Fortunately, even in bulk, they’re pretty cheap. There’s a wide variety of opinions on what you should use as your source of silver. What is agreed upon, is that you should have two separate pieces, that contain a minimum of 99.9% silver or .999. Silver plated or sterling silver will not do. These materials contain other elements like copper or nickel (which is toxic). Most CS machines take silver wire. You’ll have to shop around and avoid most of the jewelry grade wire, which is usually just sterling silver. A lot of people buy 99.99% for CS as opposed to just 99.9%. It’s probably safer, but it’s also a lot more expensive. I personally wouldn’t mind the extra cost since this material will last you a long time, but it’s often way overpriced when it comes from certain CS vendors. Fortunately, there are some cheaper listings out there . bars (typically .999, which should be sufficiently safe). They’re cheaper, easier to trace back to their country of origin, and are more rigorously regulated than jewelry wire. You can trust that you’ll get what you pay for. It’s vitally important that you use only the cleanest sources of water. There should be almost no particulate matter of any kind in your water. You can usually find relatively cheap distilled water at any grocery store. Although, if you don’t trust store bought water you can make your own. Some of you may already have a Berkey water filter, which should be more than sufficient. Most CS websites also recommend distilling the water by boiling it and collecting the steam. You can either buy a water distiller , or you can go the DIY route. This is where this design will differ from most DIY colloidal silver machines. You’re going to need a way to regulate the current that is running between the two pieces of silver. When the silver first goes into the water, there will be very little current, because distilled water isn’t very conductive. Silver, however, is the most conductive element on the periodic table. So as those particles separate from your silver wire, the water will become more conductive. It’s widely believed among CS enthusiasts, that as the current grows, it begins to strip larger and larger pieces of silver. This is bad. Those larger particles aren’t as effective at eliminating bacteria and viruses, and they’re more likely to accumulate in your body over time. This means you run the risk of getting Argyria. A current regulator diode should rectify this problem. It’ll keep the current from increasing beyond a certain point, so your CS machine will continue to produce high-quality silver ions. You’ll want a diode that keeps the current at around 1 milliamp, though if it goes slightly over or under it shouldn’t be a big deal. Finally, you’ll need several different containers for your CS machine. For starters, you need something to hold your distilled water. This can be made from either plastic or glass, though most people prefer glass. What’s more important, is that this container is dedicated to making colloidal silver, and nothing else. You want to keep it from getting contaminated with undistilled liquids. After you’ve successfully made your CS, you’ll need something to store it in. Colloidal silver is very sensitive to light, so you’ll need an amber colored glass container to store it. This keeps certain wavelengths from degrading your CS, while still allowing you to see how much you have. Fortunately, there’s a wide variety of cheap amber containers to choose from. Much like the alligator clips, they’re often found in bulk. The first thing you need to do is connect your 9v batteries in series. This is done by connecting the positive terminal of one battery to the negative terminal of the next and so on. Since 9v batteries already snap together, you won’t need to use any alligator clips. It should look something like this. As you can see, there is one open positive terminal on the left, and a negative terminal on right. Connect one set of alligator clips to each. Now, at the end of the alligator clip that’s connected to the negative terminal, clip it onto to the current regulator diode, then attach another alligator clip to the other side of the diode. That should look like this. Now connect your two pieces of silver to the two leads, and set them in the water. You can let them rest on the side and bottom of the container, but don’t let them touch or they will short circuit, and don’t let anything but the silver go into the water. If for instance, the alligator clips go into the water, they may begin to shed their particles into the solution as well. You only want pure silver particles. Your final product should look like this. Keep an eye on the water for your first attempt. Depending on the volume of your container, it may take several hours before it is sufficiently saturated with silver particles. You’ll know it’s ready when the water has a very slight, yellow tint to it. To make it easier to see, you can place a white piece of paper under the container to help illuminate the color. Now that you know how long it will take, you can set an alarm for the next time you try to make it. Once you finish, you can pour the colloidal silver solution, into one of your amber colored containers. While many people ingest it, I don’t think it’s necessary When you ingest silver particles, only 10 percent of it is actually deposited in your body. The rest is flushed out of your system. The best way to use CS is to swish it around your mouth for 5 or 10 minutes, so it can be absorbed into your bloodstream sublingually. From there, the particles can travel to every part of your body. Otherwise, you can use it topically to clean wounds, or as a disinfectant around the house. So there you have it. A safe and simple way to make your own colloidal silver. If you are new to making your own CS, consider this a starting point. As with anything that pertains to your health, it’s important to do some of your own research. The method described above is not the only way, though I think it’s the best DIY method. Now you can see for yourself what all the rage is about, with your own homemade colloidal silver. The link for silver bullion bars took me to Amazon add for .999 silver CLAD bar, not an all silver bullion! Can you recommend a PPM tester? I want to make a stronger solution for storage in dropper bottles to save space. Also, do you know of any bullion coins that are .999? It is true you can make a type of CS with DC power, but you can make a FAR superior quality CS using high voltage AC power. The color is clear (no amber), the particles are smaller and are thus FAR more effective. Cost – less than $100 is you purchase a used transformer. If anyone is interested AND has a working knowledge of BASIC electricity, I can walk them through the building process. I built the CS generator with the directions and parts listed above. I hooked it up and have been monitoring it for about 12 hours now. The water has not changed color. I have been monitoring the voltage at the battery terminals and at the silver wire. The battery terminals have stayed at 33 volts throughout the process. The voltage at the silver wires have steadily declined. It started at 33 volts at the wires and is now at 7 volts. The negative lead has some sort of build up on it. Something is obviously changing considering the build up on the negative wire and the voltage drop. I cleaned the build up once and the voltage didn’t change across the silver wires. If you want .9999 (99.99%) silver just buy a couple of 1oz Canadian maples. Yeah, I noticed that the diode info was vague at best. How do the wires connect to the alligator clips? That is: are the ends of wires that come in contact with alligator clips stripped of their plastic? Thanks. 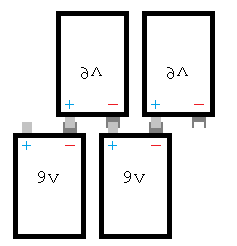 Where can we get that Current Regulator Diodes 0.75mA ? That company no longer sells them and I can not find any any where else, not even ebay. So, what happens if you run out of batteries? Or Electricity is not available? You can alway get a bottle of 4000 PPM ($120.00) colloidal silver from gold2live, then dilute downward. Just one 4000 PPM 16 Oz bottle can be diluted to 40 PPM and make 12.5 Gallons. Of course, you can dilute this anyway you want from 20 PPM to a 1500 PPM, the less PPM, the more you can make. So if a survival situation should arise and you need an antiviral, antibacterial, and parasite fighting supplement these types of products are the best way to go, since they can last a very long time. I’m not a doctor. My comments are not medical advise. These are my opinions based on my own experience and what I’ve learned. Please discuss your situation with a medical practitioner who has knowledge of tapering and withdrawal. I started with 3 tbls of fresh whole milk, placed into (6) Six individual sterilized glass containers, then added 1 tsp of my “(3) home made ionic silver products” to the first three containers of milk. The two remaining glasses containing the fresh cold whole milk to them I then added 1 tsp of commercial grade “Meso Silver”, into one of them and in the last remaining 5th milk filled container, I placed 1 tsp of commercial grade “Asap10 Silver”. Both commercial silver products were purchased on the internet. The 6th and final container had fresh whole milk only. all experiments were carried out equally w/ clean and sterile glass containers, and all were covered to protect from outside contamination and evaporation, and then placed on a shelf side by side and left for days to ferment and spoil…..
please dont drink it….the particles are to large to do you any good…. I tried my first batch of colloidal silver using distilled water that I made myself, so I know it is pure. I used 1 oz. silver bars (.999) from Silver Towne. They were suspended about 1.5 inches apart and I was very careful the clamps holding them were NOT in the water. After only 1 hour the water was quite cloudy and grey. One of the bars was absolutely black and there was black sediment in the bottom of the jar. Does anyone have any idea what happened? gently wipe the black oxide off prior to next use. try NOT to abrade the silver bar! the LARGE particles on the bottom, are probably best used topically. I used a 28v incandescent flashlight bulb in place of the Diode. gives you a visual too.